The goal of loss prevention is to identify where actual and potential losses may occur, and seek to mitigate those losses via a combination of preventative security measures, and apprehension of those caught in the act. The methods used to accomplish these goals are varied, and largely depend upon the unique demands of your retail business. Developing a comprehensive retail loss prevention program requires experience and knowledge of tested and proven security protocols. Losses of inventory or monies in a retail environment can happen internally or externally, and Echelon provides security plans specifically developed to handle your challenge. Retailer’s losses to internal and external theft directly affect bottom line profitability in two ways – loss of monies spent for the wholesale purchase of the item, and the cost of its replacement. These losses could have gone to new inventory, increased employee wages, or even expansion of the business. Losses can eventually become so pronounced that a business has to cut staff or even close, and this underscores why a retail loss prevention plan is vital to the very life of your business. At Echelon Protection & Surveillance, we will address your retail loss prevention needs and develop a security plan designed to categorically deal with internal and external retail theft. We can employ a variety of solutions to protect your bottom line while addressing your budgetary concerns, whether you’re a large company or small business. As a business leader, you fully develop business systems and policies to ensure efficiency and profitability. These business functions revolve around marketing, sales, human resources, tech, and other departments that operate independently to better the entire business entity. Make no mistake: every retail business has the potential for loss. If you’re unsure how best to prevent losses, we can help you develop a security program that identifies problem areas, and implement a strategy that makes your business more profitable by decreasing your susceptibility to inventory shrinkage. Comprehensive and successful theft prevention requires the use of every security tool at your disposal. While preventative measures are preferable, sometimes it’s necessary to actively engage internal threats in order to define and eliminate an ongoing security problem. There are many possible scenarios where internal theft prevention comes into play. However, identifying the problem is the first step toward prevention. Our first goal is to complete a full assessment to identify the areas of your retail business that need immediate attention to combat theft prevention. Internal theft is the most problematic for retailers, and accounts for the most losses as compared to external theft. Prevention of internal loss primarily focuses on employees, whether losses are occurring because of inventory theft or conversion thefts at the point-of-sale. In these situations, employees may be acting alone or working in tandem with other employees or non-employees, making the prevention of loss even more difficult. In these situations we may utilize highly-trained and experienced store detectives, or plain-clothes security officers, to detect and apprehend employees that are benefitting themselves at your expense. Internal investigations, access control, and video surveillance are additional strategies we use to minimize theft and further aid the prevention of loss. External thefts range from shoplifting to robberies, and can affect your retail outlet or wholesale warehouse. While not as damaging and prevalent as internal loss, shoplifting does plenty of damage to retail businesses every year. Prevention of external loss includes educating employees to spot shoplifters, protecting inventory with comprehensive security protocols, proactive camera surveillance, and effectively dealing with shoplifters when they are caught in the act. Our first line of defense for the prevention of loss may focus on inserting uniformed guards into the retail environment to discourage would-be thieves. Plain-clothes officers are useful for apprehending shoplifters while monitoring for security breaches, and will immediately investigate a suspected loss, to report and document the facts for store managers. Our retail loss prevention officers can also monitor the retail and warehouse environments with surveillance equipment focused on areas of concern. 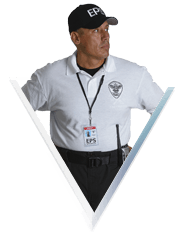 If a problem arises, our highly-trained and certified security agents may apprehend and detain suspects until official law enforcement agents can arrive. The prevention of loss means the preservation of your bottom line. We will work with you to customize a security solution that suits your specific retail environment while acknowledging your budgetary objectives. Don’t let loss due to internal or external theft damage your business’s bottom line. Contact our theft prevention experts today and find out more about how you can combat loss efficiently and affordably in any retail or wholesale environment or situation.